Few times do we talk about what the “message” of a literary work is, even amongst those of us who study literature. Finding out what the message is behind any human expression, however, is fundamental for surviving, as it allows us to filter what we are being told –to separate and retain what serves us, and to prevent us from falling prey to cheaters and liars. Learning to see through information, allows us to make better use of media, too, without resorting to censorship or limiting our freedom of expression. 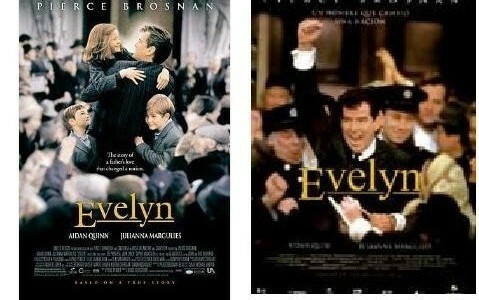 Evelyn, the movie (with Pierce Brosnan in the leading role), is a popular work, which was produced to help advance an unpopular political agenda amongst the general audience. The slant, the bias, the way reality was altered in it, in order to promote such agenda, is so great and evident, that it easily serves us to exemplify what a “message” is –what we are talking about; and to show how even a reality-based narration can be manipulated in order to fulfil a given goal. Bonísimo, me gusta mucho la forma en que lo has ejemplificado; y la explicación está impecable. Gracias.